You must make reservations at least 5 minutes in advance of the time at Eating House 1849 at the International Market Place. Parking entrance will be located on Kuhio Avenue. There is paid public parking within the International Marketplace. In addition there is Valet Service located on the third floor. The Eating House 1849 pays homage to Hawaii’s vibrant culinary heritage, a nod to restaurateurs like Peter Fernandez who, the story goes, opened one of the first restaurants in Hawaii, called the Eating House, back in the mid-1800s, using what was available from local farmers, ranchers, foragers and fishermen. Amazing service and experience. The food was excellent as well. We will definitely be back. Make sure you save room for the souffle! We went to Eating House for a casual Easter lunch after church. It was the perfect choice. 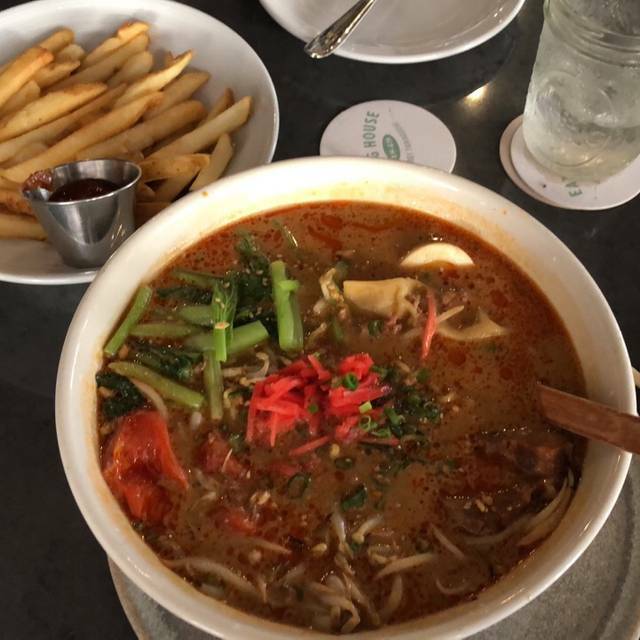 The food was great, we enjoyed a beautiful day in Waikiki and my son could wear a t-shirt and shorts. Everyone was happy! We went on a Wednesday around 9:00p and it wasn’t crowded. The live musician was singing his last song for the night. Was seated promptly and ordered drinks. We had never eaten there so we asked the waitress what she recommended. We got the lamb shank and burger. Both dishes were excellent. Nice size portions too. We were too full to try any dessert. When we go back, we already have two other dishes picked out. Outstanding service and attentive staff! Great steaks and delicious desserts! Great menu selection. Attentive service. Roy’s high quality and presentation that’s attractive. We come here every time we’re in town. The waitress was great & the guy singing live was an added bonus. Not to mention delicious food! The food and drinks were quite good for the most part. I especially appreciated they had at least one healthy/tasty item on the kids menu that wasn’t just mac n cheese or chicken tenders. However, regarding service and noise level, I was a bit disappointed. The hostess seemed quite dismissive and was slow to arrange our table (even though we had made a reservation and the restaurant was not busy when we arrived). The live music, although pretty good, was way too loud and no one at our table of seven could hear each other. Finally, the server was passable, but he checked on us fairly intermittently and totally gave up on us once it was clear we were done ordering drinks and wouldn’t get desert. creative menu, great service, generous portions, delicious plates, need I say more! I enjoyed taking out of town guests to Eating House 1849! 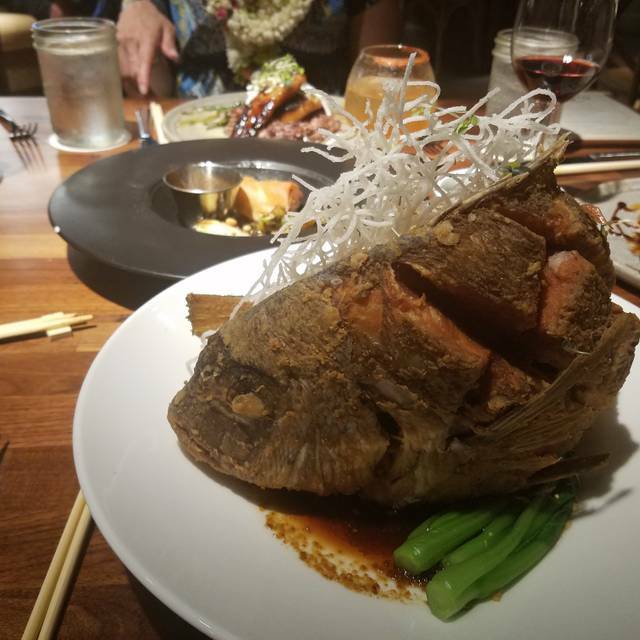 The selection of fresh fish and the preparation were fantastic and gave our friends a nice flavor of Hawaii in a comfortable setting. 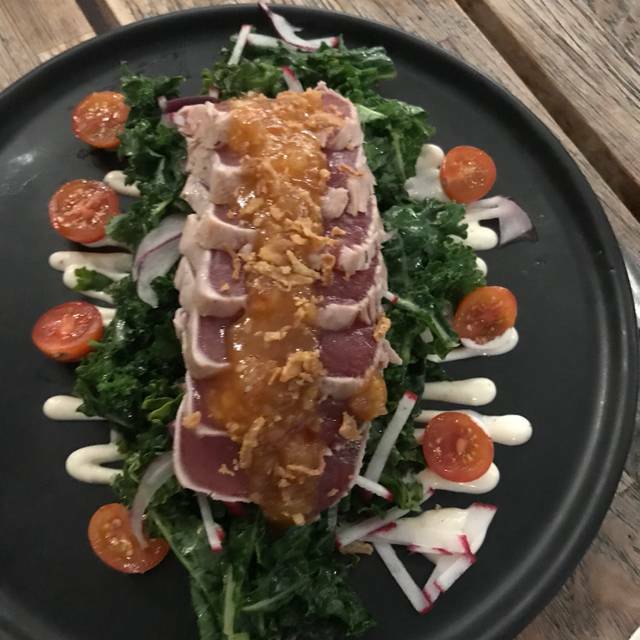 Eating in Waikiki can often be a hassle for us locals, but the plentiful parking at the International Marketplace as well as the relaxing environment in the restaurant makes it all very pleasant. We went on a weekday, so it was not crowded and I don't know what it feels like on a busy Saturday. Decent lumpia. Ramen bowl had peanut sauce that was much, much too salty. Cesar salad with ahi- salad ok, good ahi. Located on third floor of International Market mall, covered open air venue nice enough, some noise from parking garage. Sorry, won’t go back or recommend. The service really stood out as exceptional. From the wait staff to the water pourer- top notch and so friendly and professional. Tina the server made our night! She is amazing! It was nice sitting on the patio with the tropical breeze listening to live music. I had ordered the paella. The server did tell me it wasn't the typical paella with the crunchy rice so i was expecting that. It was a very visually appealing dish. The rice was quite flavorful and good. I would say though that the dish is not a very good value. The seafood portion of the dish consisted of 4 small clams and 2 shrimp. You are basically paying for flavored rice. It was tasty but certainly now worth the price. I feel a bit deceived by the lack of seafood in the paella. Enjoyed our experience at Eating House. I’m vegetarian so I was very pleased they could accommodate me. I could eat one of their main entrees substituting tofu for fish and it was fabulous! Just be sure to let them know of any diet restrictions when you make your reservation. They left impressed and vowed to return. I always use Open Table to book... they had my favorite table ready and of course all the staff is amazing, friendly and very accommodating. We started off with drinks and soon followed up by and amazing appetizer via our most loved Diva. I had the amazing Ramen and Tempura. Such and amazing place to bring new customers and friends for a treat that never disappoints. The restaurant is in a mall and the setting is very bland. We tried a variety of apps. The smoked ribs were really good. Otherwise the lumpia was meh. The ramen was flavorless. Overall was very good except they substituted a ribeye for the advertised 22 oz Porterhouse. Would have preferred they told me that in advance I would have ordered something else. For the prices they charge, portion size was disappointing, quality was so so, should teach the broiler cook how to cook steaks. Ordered it mr, got it med to mw....did not want to send it back , it would have been too long a wait. Good food, nice space and great, friendly service... we will be back! Outstanding food and great service. Kimmie is awesome. This is the first time we tried this restaurant. We have eaten at many of Roy’s restaurants and always found them to be great. The evening started out well, but went downhill. The server was attentive at first, but after we ordered she was clearly preoccupied with others including e loud young man drinking shots at a table near us. When I ordered, I specifically asked that my wine be brought with my meal. Well that did not happen. My meal was delivered, it looked like it had sat awhile under the heat lamps. I asked for my wine fro the person who dropped it off and he disappeared. Then about 5 minutes later someone came to ask me how my meal was and I said fine (despite being under a lamp, the meat was cooked to my preference so no need to be fussy) but I would really like the wine I ordered with my meal. This gentleman disappeared. Then five minutes later a bus boy arrived to fill up our water and I asked him for my wine. He apologized and said he would look for my server. He server came by and ask if everything was alright and I said NO, I am still waiting for the wine I ordered with my meal. It then took her another 5 minutes to get my wine, by this time I had consumed most of my meal. She clearly knew I was annoyed as she then became less friendly and avoiding us. I got an apology from the person who originally checked on my meal, but no offer to make me feel better. I was a server when I was young and I would have had the wine written off at a minimum or offered a dessert. That did not happen and I will never forget the poor service. I will never return to the restaurant and I cancelled my plans to eat at there other restaurant in Kauai. Food was great. Different from Roy’s as Eating House seems more casual setting. But food is still excellent. And service was on point. Would have liked to sample all the dishes! We were a party of 4 who were trying Eating House for the first time. We started with an order of pork belly bao buns primarily because none of us had tried them before. They were excellent and are highly recommended. We tried a variety of mains - misoyaki butterfish, paella, a fillet from the separate steak menu, and because one of our party was vegan, an order of brussels and cauliflower. Each of the dishes was highly praised by the one who ordered it. 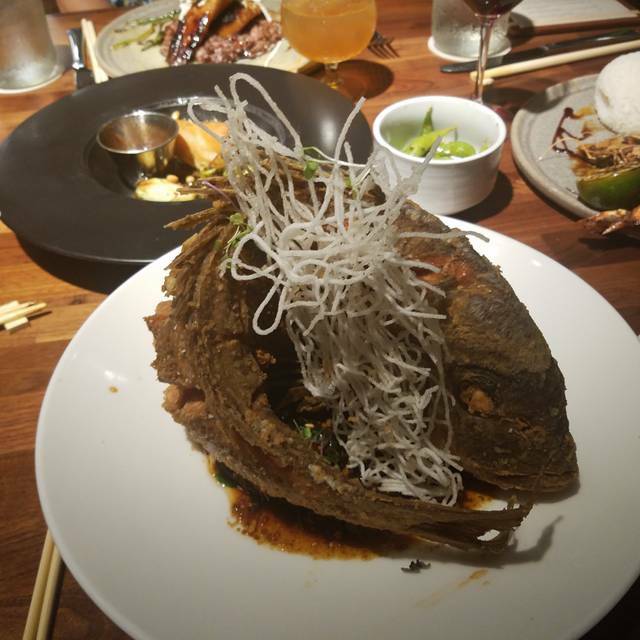 For our vegan member, the restaurant ensured that her dish met her needs. Would we go back again? Emphatically "yes". 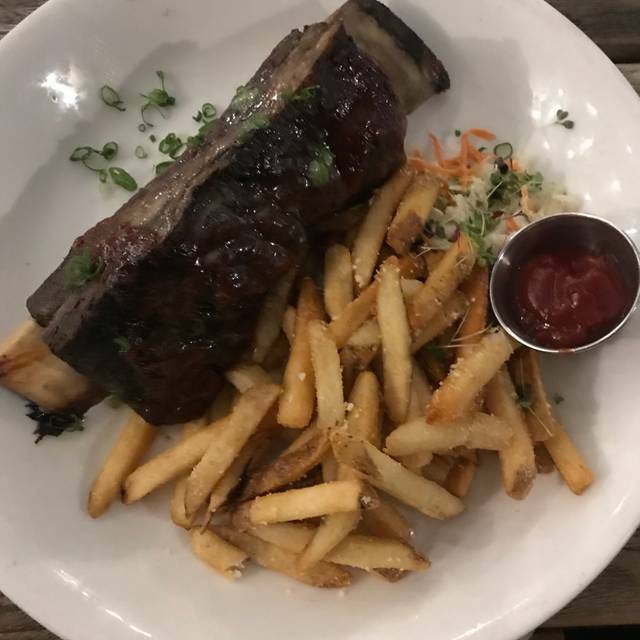 In fact, my wife and I went back two nights later to try the Kiawe smoked Szechuan baby back ribs - another excellent selection. The restaurant has decent ambiance (it's not on the beach nor in an upscale hotel). The wine list is not overly extensive but more than adequate. If your looking for a place for a very pleasant dinner with great food and a wonderful staff, Eating House 1849 is the place. The live music on Friday combined with the great food and service was amazing! We went back again! I have generally always been happy at Eating House however at lunch the other day, there was only one manager-type person waiting on the entire patio area with a larger complement of bus staff. The order taking took a while and the food took even longer to come out. The staff was cordial and the food was excellent, but there is so much more to do to improve the great meal. 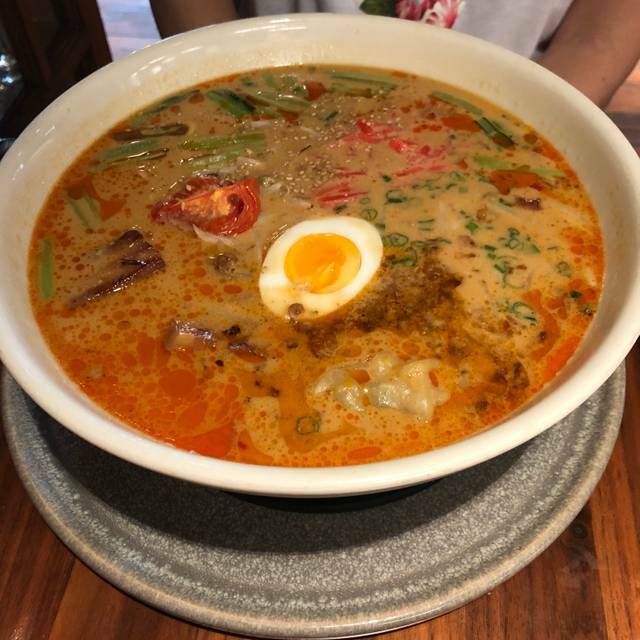 Food quality good, but service needs to improve: took 40 minutes to serve 6 people, one of the dishes came different from the menu (Loko Moko: instead of Fried Rice, it came with normal white Rice). This was our favorite restaurant in Waikiki. We enjoyed it so much we returned for a second dinner. Wonderful food, outstanding service. We are locals and have been to your restaurant before and brought people. We were very disappointed at the poor quality of the food ,and the cost for what we received. Abdotely terrific service and execution!! Wonderful e oerience. 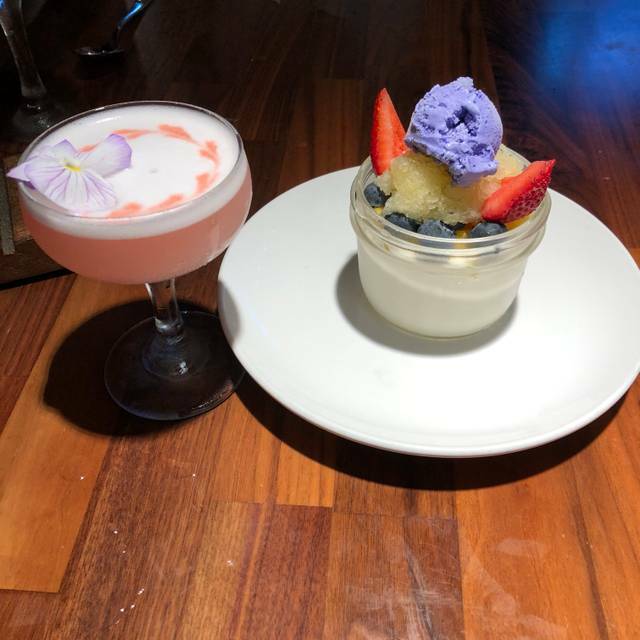 We went to celebrate a friend's bridge accomplishment and couldn't have been happier - beautiful space, delicious food and drinks and outstanding service. 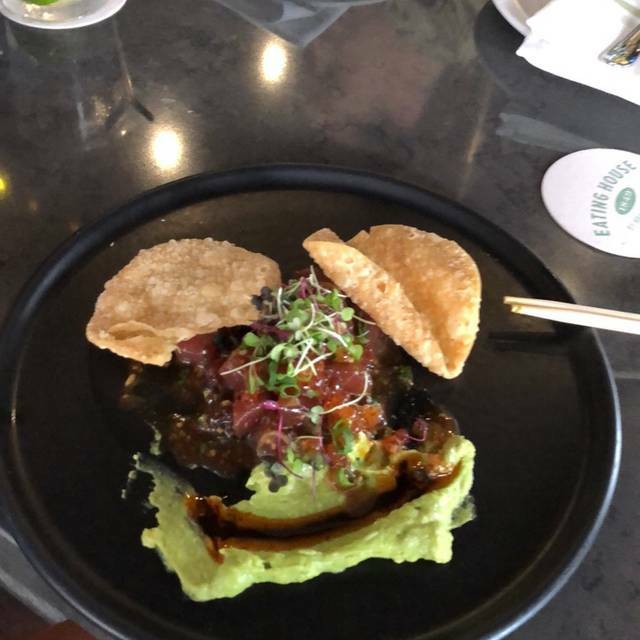 I was mildly disappointed with the food. Unfortunately, the ribs that we ordered was not well cooked and thus taste was bland compared to previous experience. Not enough waiter compared to number of bus boys. Had to look around for waiter to place extra order and also to get your tab. 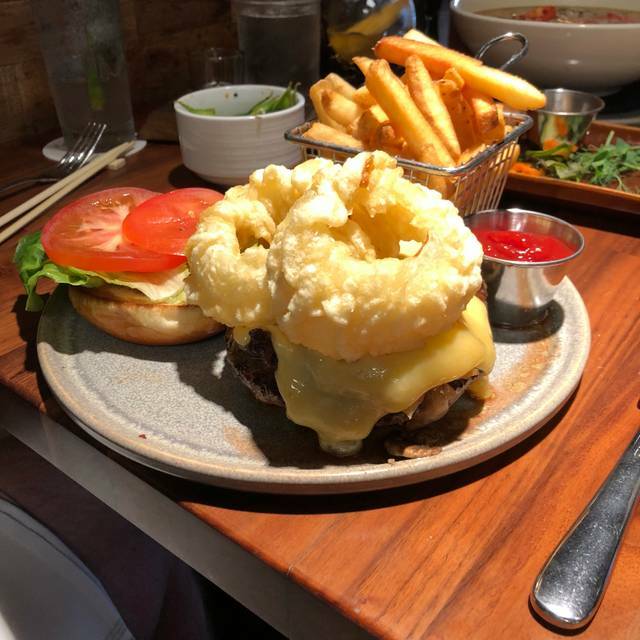 My husband and I went to the Eating house for our wedding anniversary. Our servers were so awesome. Very kind and attentive. We will definitely be back for many more special events. Maybe we ordered the wrong items but both the paella and the local fish dish were oily. The food was excellent and varied. Our party of 4 was very impressed. We had a rose wine that perfectly complimented our fish dishes, making the evening all the more enjoyable!